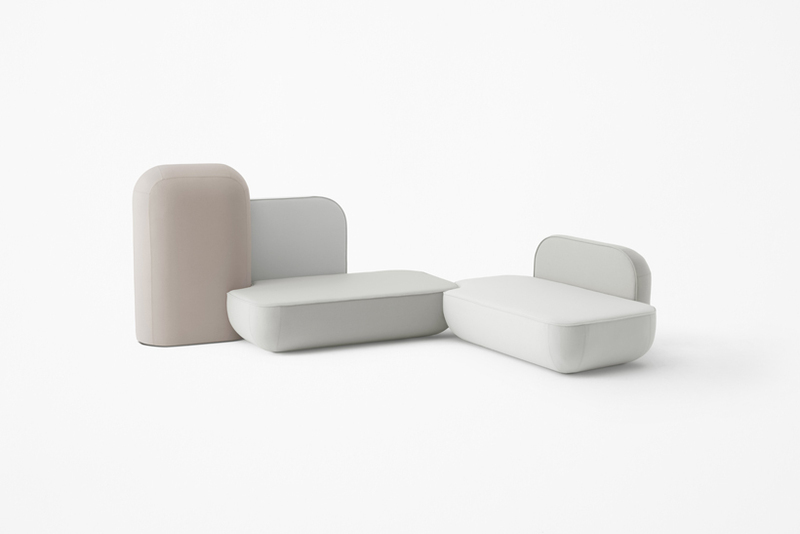 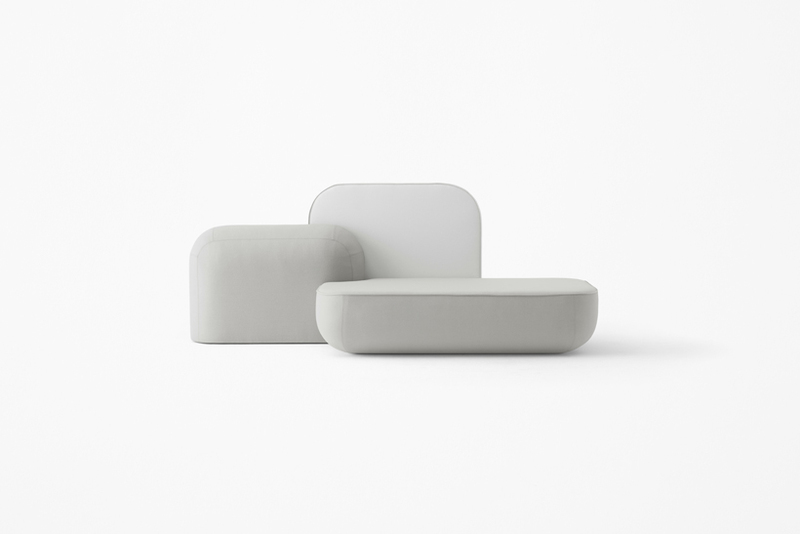 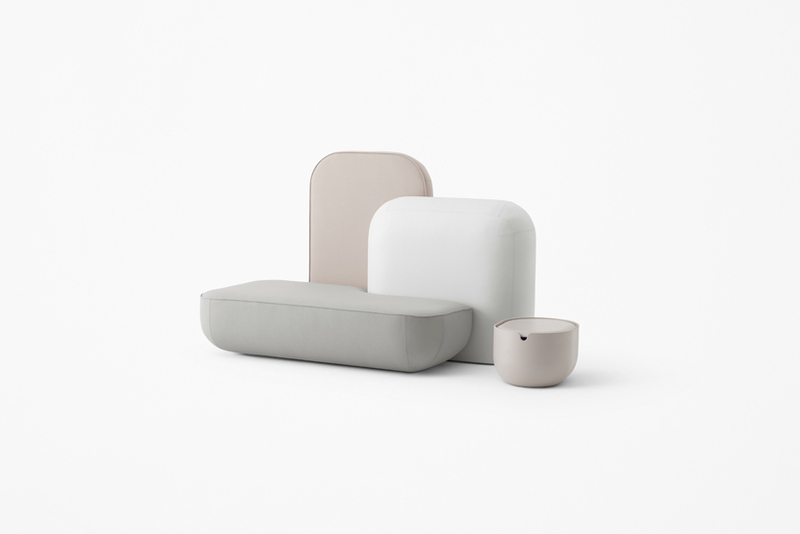 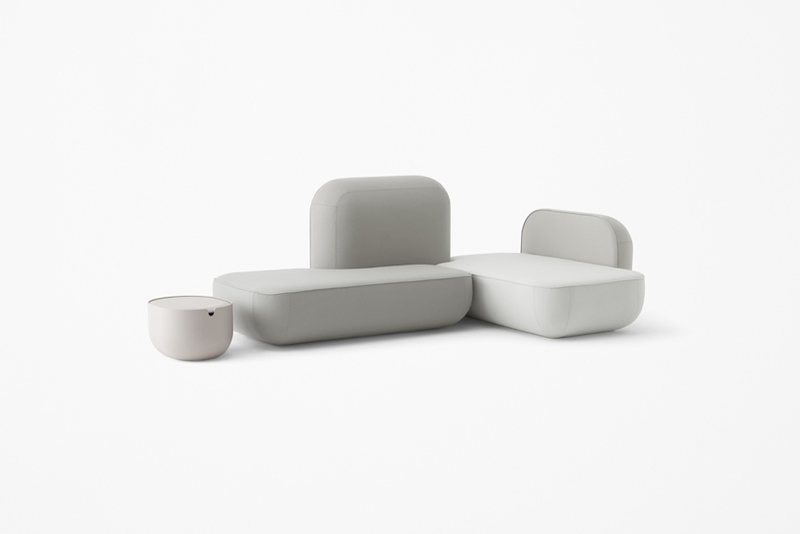 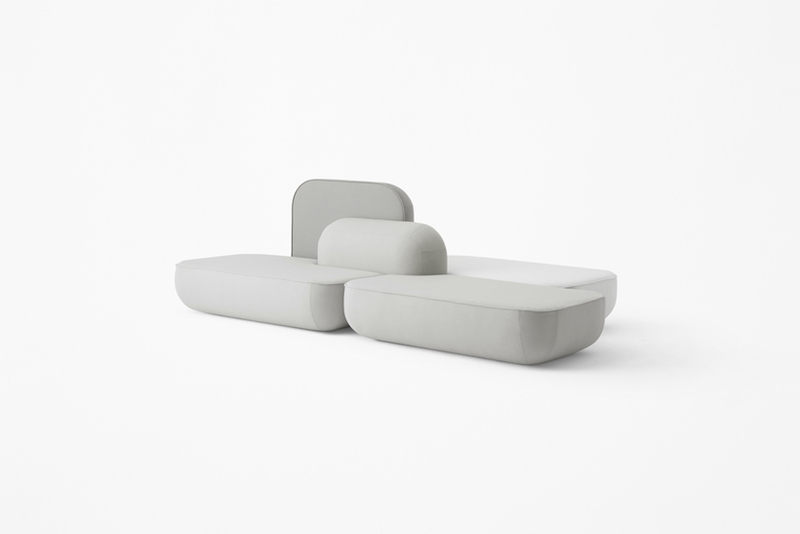 Unit sofa designed for the Italian furniture brand Alias, which users can combine the units such as seats, backrests and armrests in any way they like. 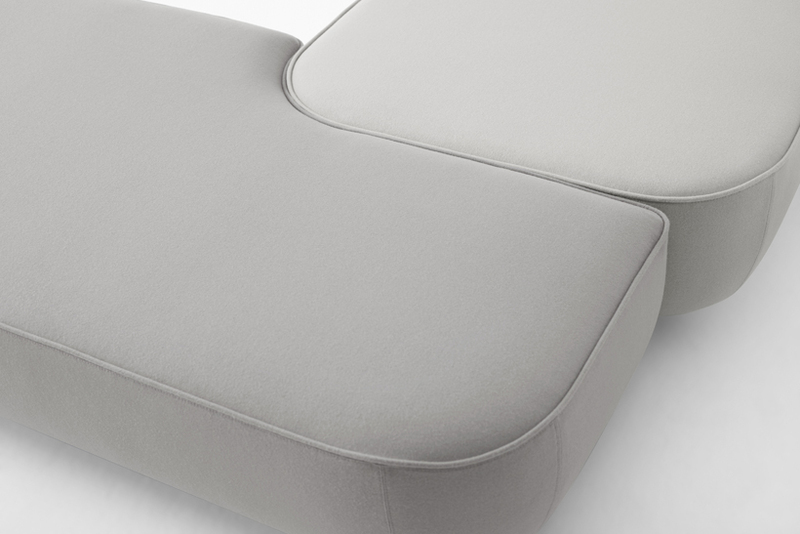 The sofa was showcased at ORGATEC, the leading trade fair for trends in office and facility design which is held every two years in Cologne. 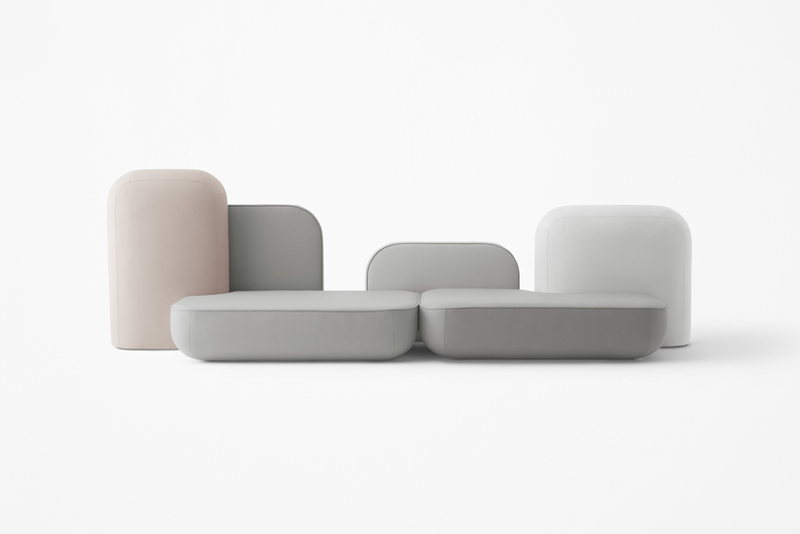 There are all together twenty different types of units and the seats, backrests and armrests were made in all of the same shapes so as to maintain a sense of visual unity. 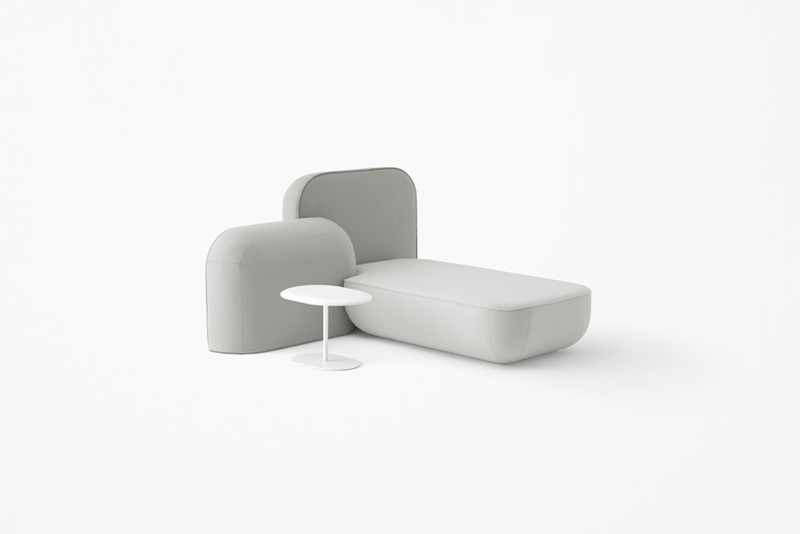 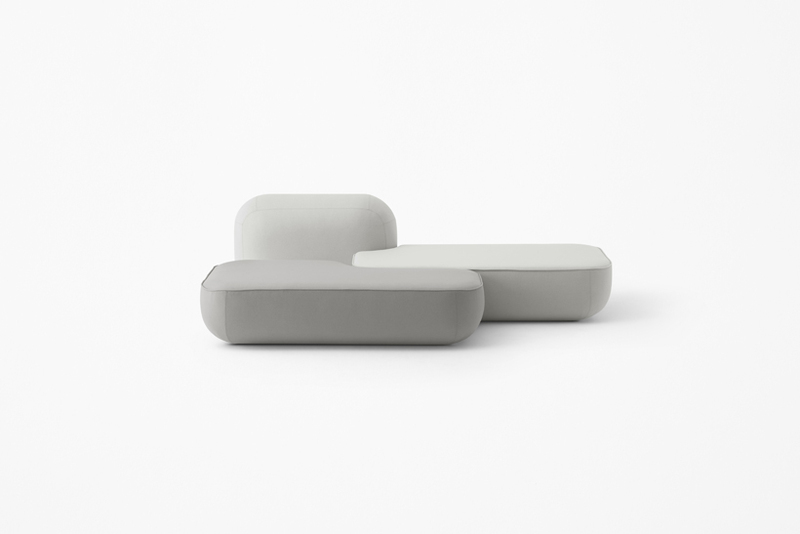 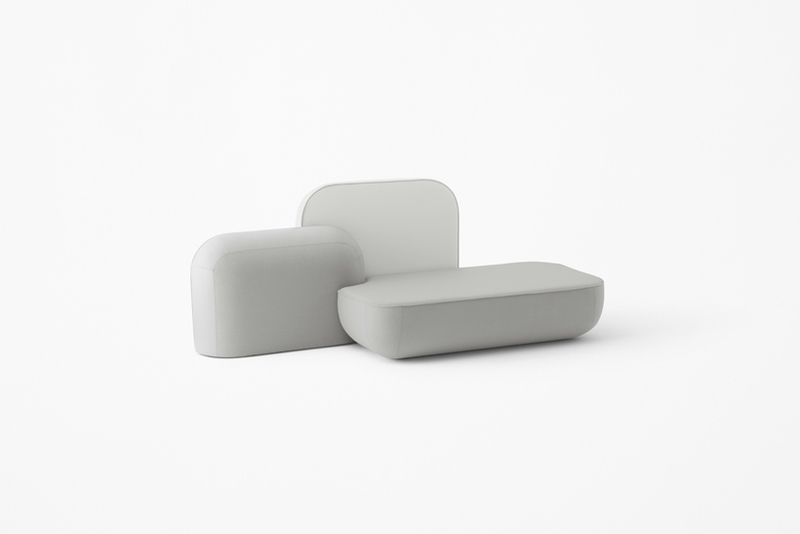 The high-back backrests can also be used as a partition with sound absorbing qualities. 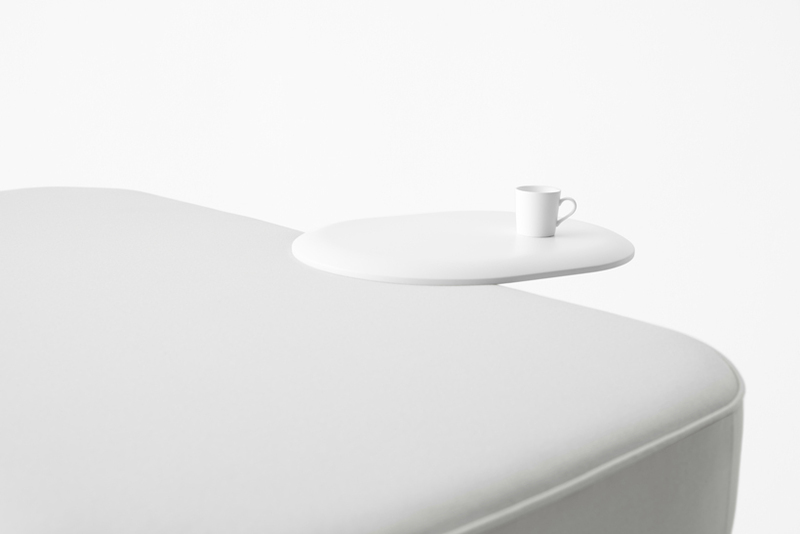 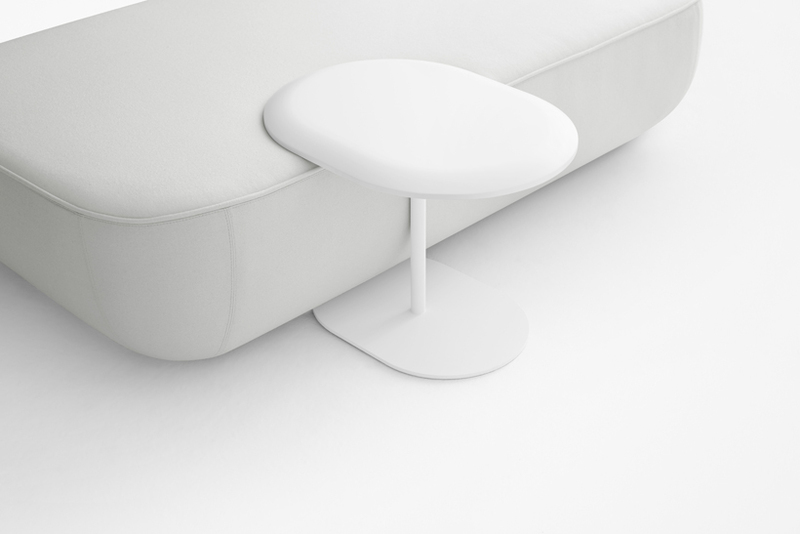 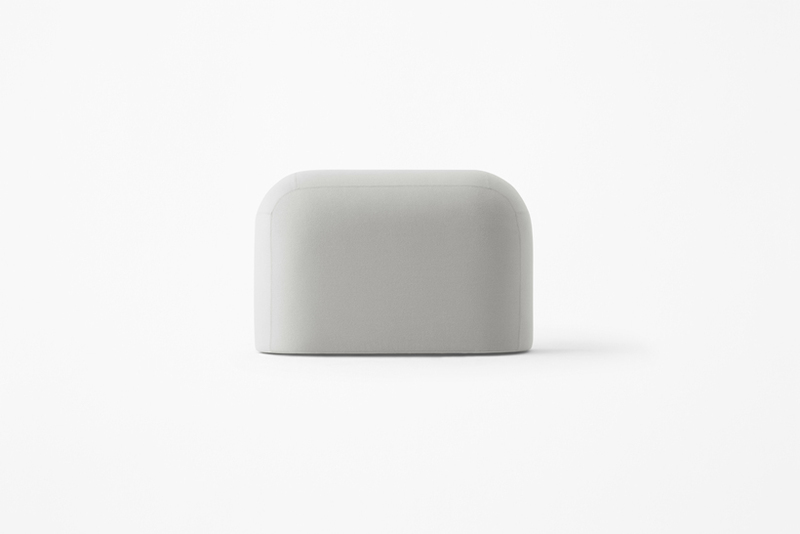 The seat surface is flat, but the surface curves gently towards the base, which prevents them from dirtying due to direct contact with shoes when used in public spaces such as lounges and lobbies. 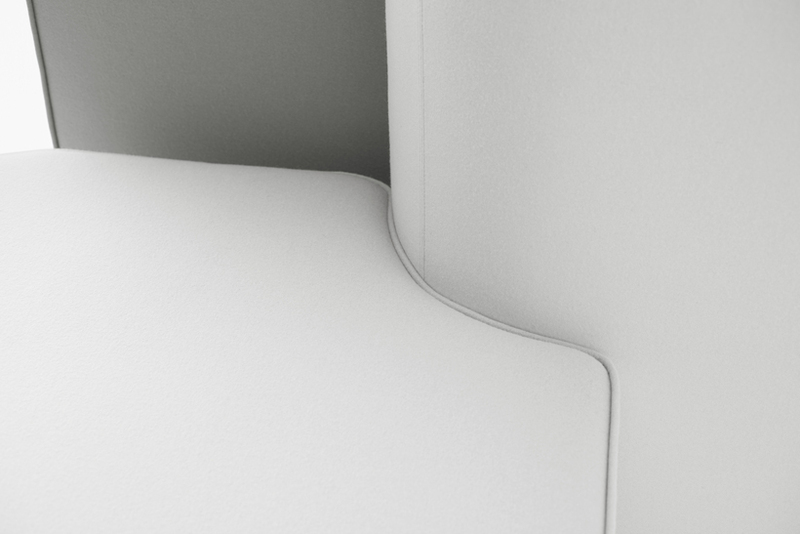 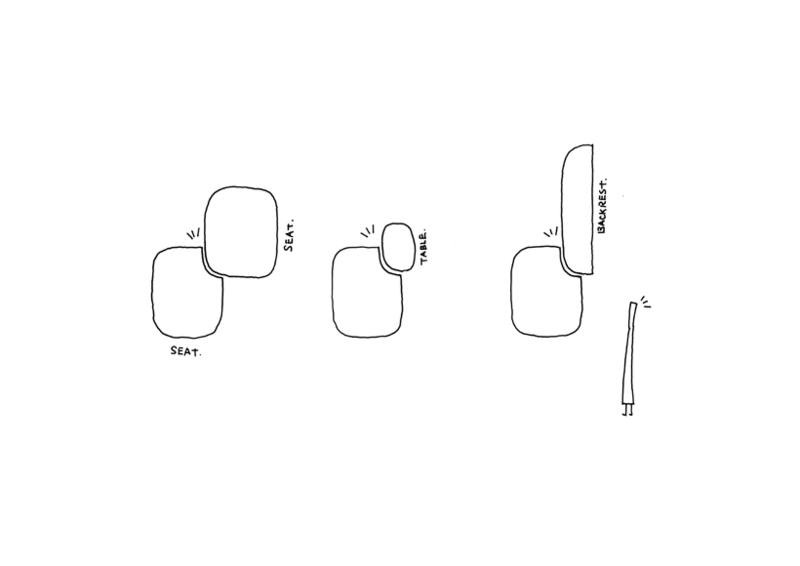 Concurrently, by attaching cutouts that correspond to these curves, they can be interlocked with parts such as backseats not only horizontally but also vertically. 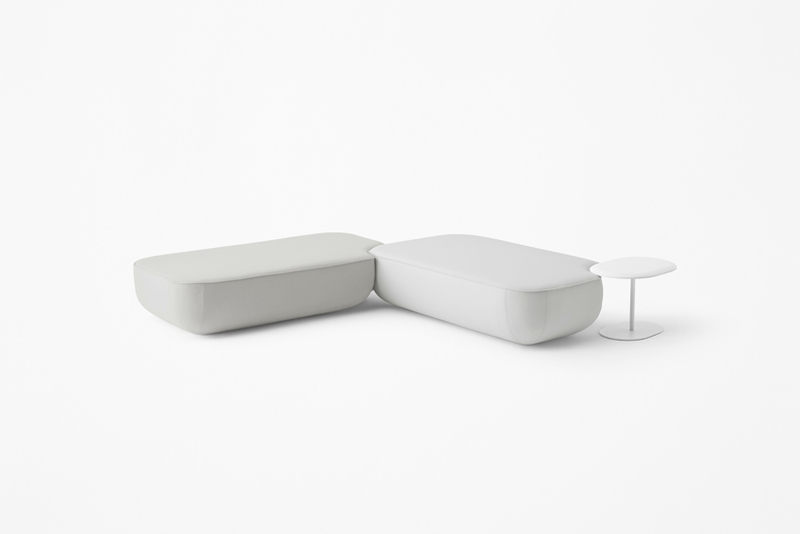 The wooden side table with similar curvature is available in three variations, ones that have wire-frame legs, one-footed tables where the pedestal slides under the sofa, and a container type that can accommodate cables and small accessories, each were made to match the cutouts perfectly. 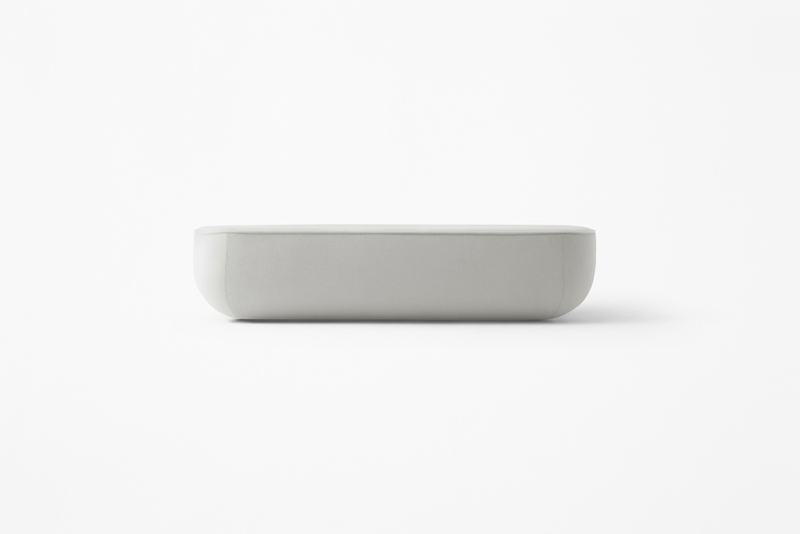 Rice is oval-shaped with a germ which is often removed so a portion of rice has been cut-out. 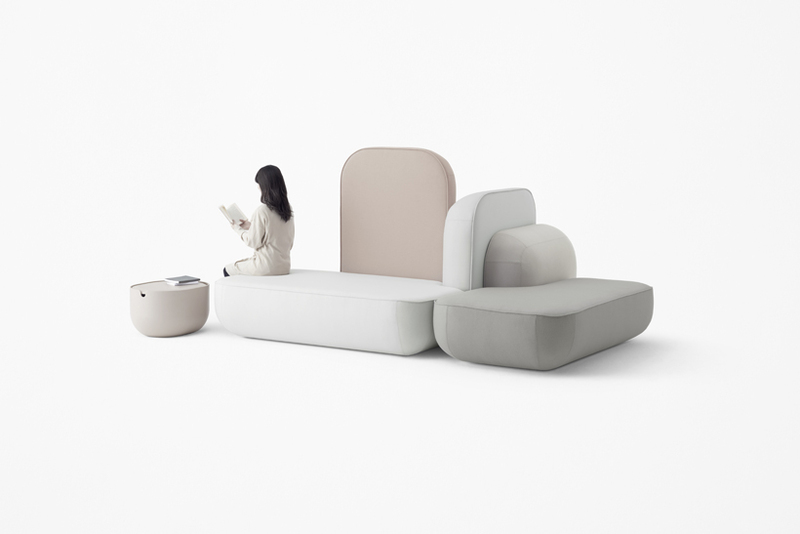 Because of this, the sofa was given the name “okome (= rice in Japanese)” from the similar appearance which looks as though a portion of the soft silhouette has been cut-out.